Jil Sander Black Leather String Sack: Who You Calling a Hobo? How much do I love Jil Sander? My love for the ultimate minimalist brand is seemingly exponential, as whenever I think they can’t get much better, they go and take the basic hobo and reinvent it. The change isn’t just in the coy “string sack” name. It’s crazy that all it takes is two little details to change virtually everything about a standard style. The elongated tab that glides down the center elevates the bag with a level of sophistication hobos usually don’t have; finished with a weighted gold tip, it possesses an air of luxury. 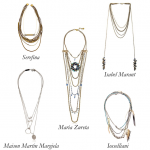 Then the dangling linked chain adds plenty of personality, and it also acts as an easy shoulder strap when required. This isn’t the typical overwhelming hobo so slouchy you lose everything inside it; instead, the decidedly smaller size makes it feel cute and accessible. 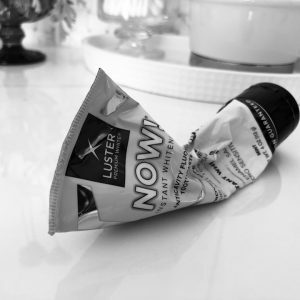 This perfect everyday size is just enough for the basics, and that’s all I really need. The one thing it has in common with other hobos? Super-soft, textured leather means this will comfortably mold to your body with every single wear. 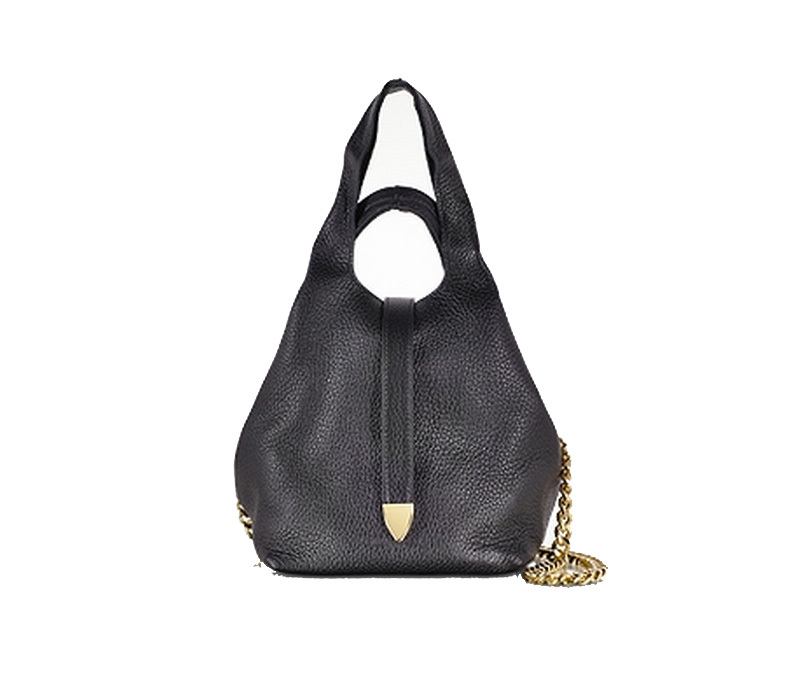 Jil Sander black bag on Forzieri for $968. Pair with: Speaking of things that mold to your body, you’ll need to expand your cozy sweater repertoire come fall. 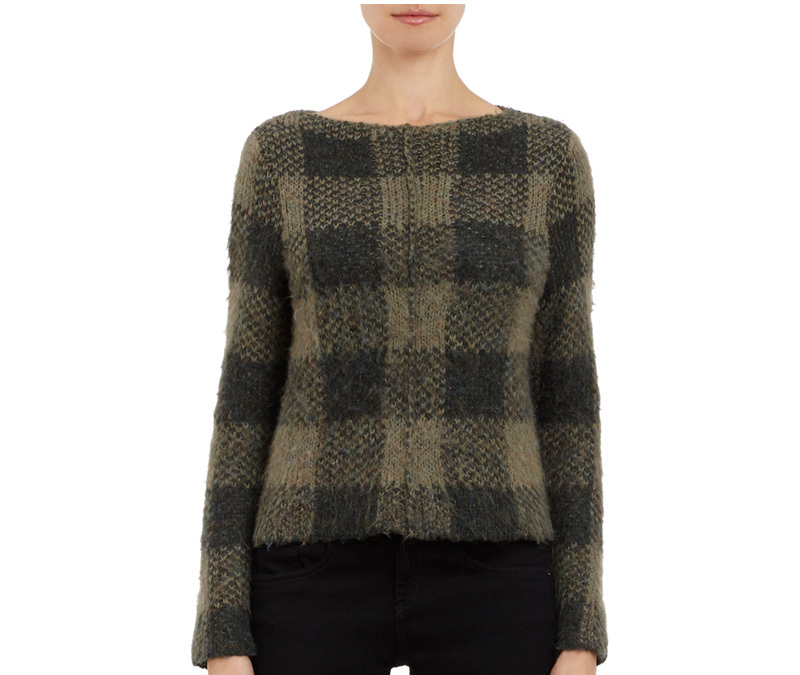 Add Rag & Bone’s plaid Cammie cropped pullover to your collection. At Barneys New York for $325.